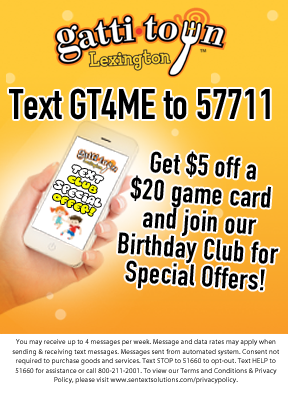 At GattiTown Lexington, we take pizza seriously. That’s why we hand-roll dough fresh each morning, use our signature sauce with sixteen secret herbs and spices and top it all off with real smoked provolone cheese combined with only the best toppings! Topping these scrumptious pies are the freshest ingredients available. 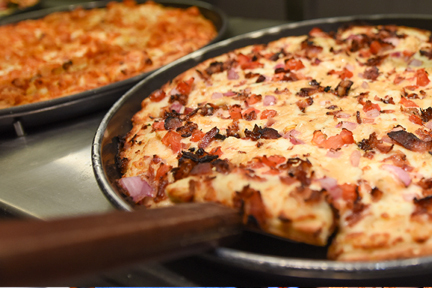 Gatti's Pizza has a passion for pizza and we have only the best ingredients, dough made fresh daily in a family friendly environment. The story about our sauce. 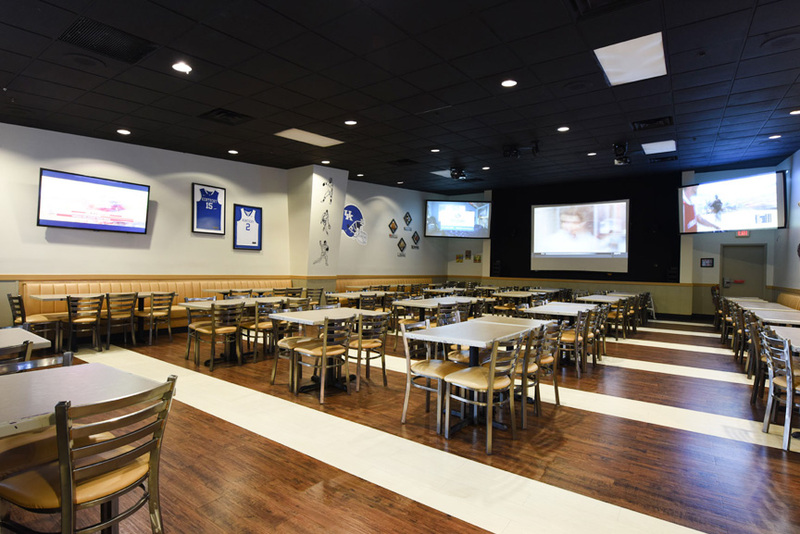 Gatti's Pizza has a passion for pizza and we have only the best ingredients, dough made fresh daily in a family friendly environment. This is the story of our sauce and our commitment to quality. GattiTown chefs prepare our pizzas with dough handmade fresh daily. Then, pile on 100% aged smoked provolone cheese and delectable meats by Hormel. Special gourmet pizzas are also available to satisfy the most discriminating tastes, including Sicilian, Buffalo Chicken, Vegetarian, Black Bean, Hawaiian or BBQ Chicken. 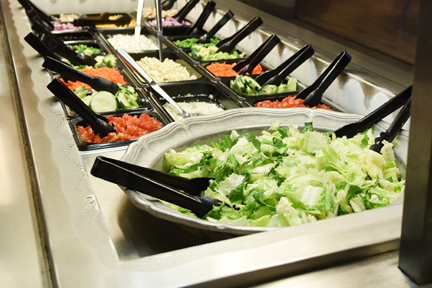 A trip to our salad bar is a true delight. Create your own crisp and tasty combination from our huge selection of hand cut, garden fresh fixings and homemade dressings. Over 50 items provide a healthy meal in itself! 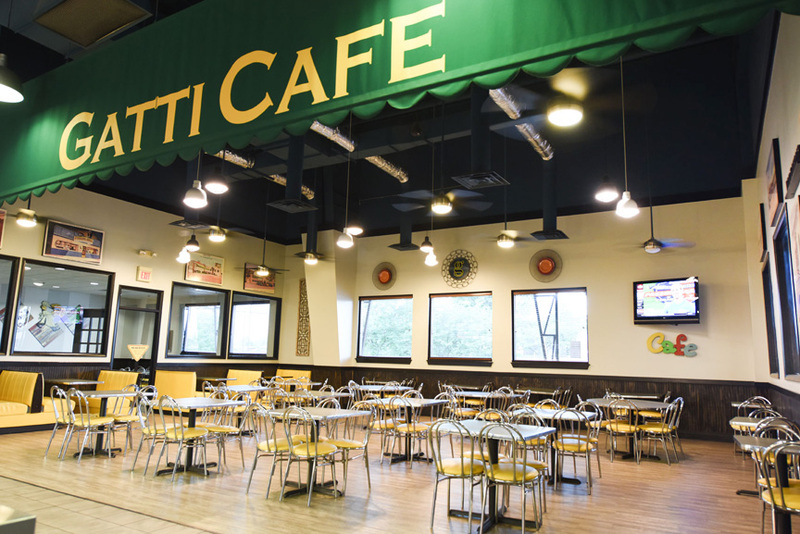 Our pasta lover's paradise offers several varieties of delicious pastas, including spaghetti, linguine, baked ziti, macaroni and cheese and corkscrew pastas. 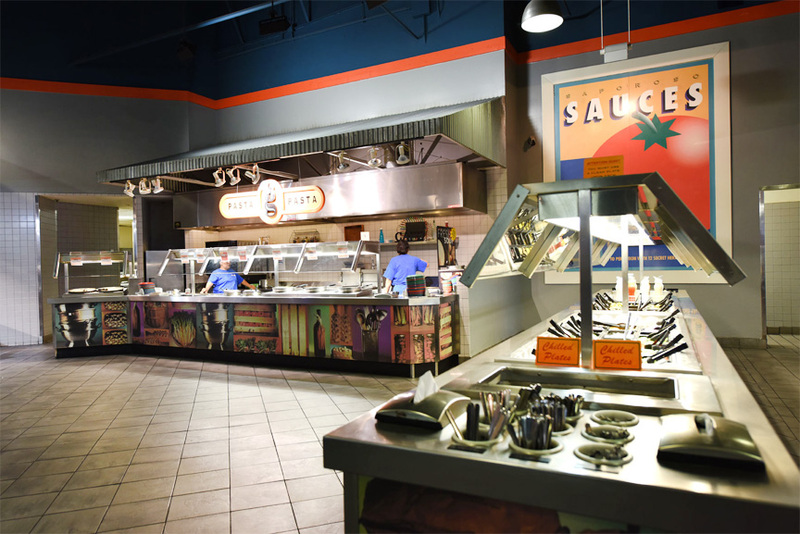 Each can be topped with your choice of special sauces made just for GattiTown by Heinz, including alfredo, marinara and spaghetti meat sauce. The story of our pizza sauce starts with fresh picked, vine ripened plumb hybrid tomatoes grown in California’s famed San Joaquin valley, known as the “food basket of the world.” Since our early beginnings, we’ve gone back to this special place every year for the harvest to make enough fresh pizza sauce to last our entire system for the whole coming year. That ends up being about 284,668 gallons of pizza sauce—enough to fill up two backyard swimming pools!Once our tomatoes are harvested from the vines, they are cleaned, steam peeled and cooked using the Colonel’s original blend of secret herbs and spices and become Gatti’s Signature Sauce within 6 to 8 hours of being picked. It’s this amazing race to freshness that results in the fresh tasting, zesty pizza sauce we’re so famous for. Its a diner set right off Main Street USA. A quiet place where you can relax, take it easy and enjoy some good old-fashioned cafe dining. 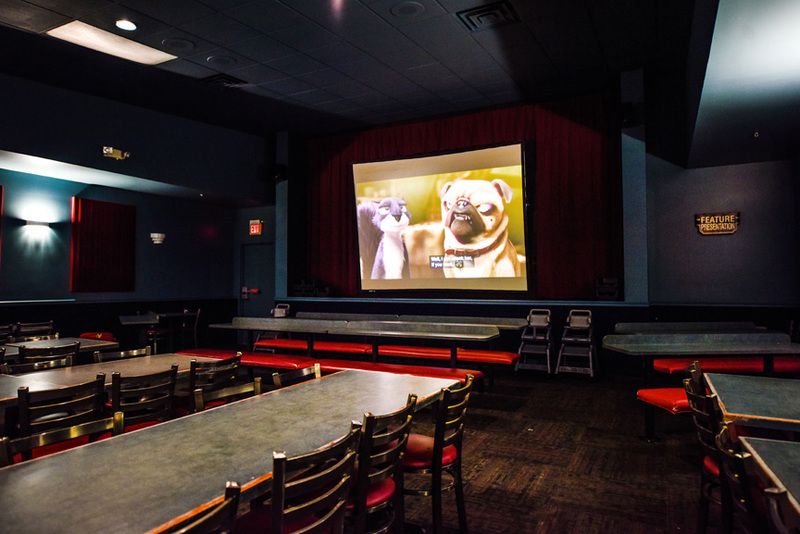 Features a 3 giant screen HD-TVs plus others that allow you to watch your favorite program or sporting event. Puts a smile on the menu with wacky and nostalgic cartoons and comedy for all ages, from the Three Stooges to the Little Rascals. A spacious and relaxing place to enjoy your meal. 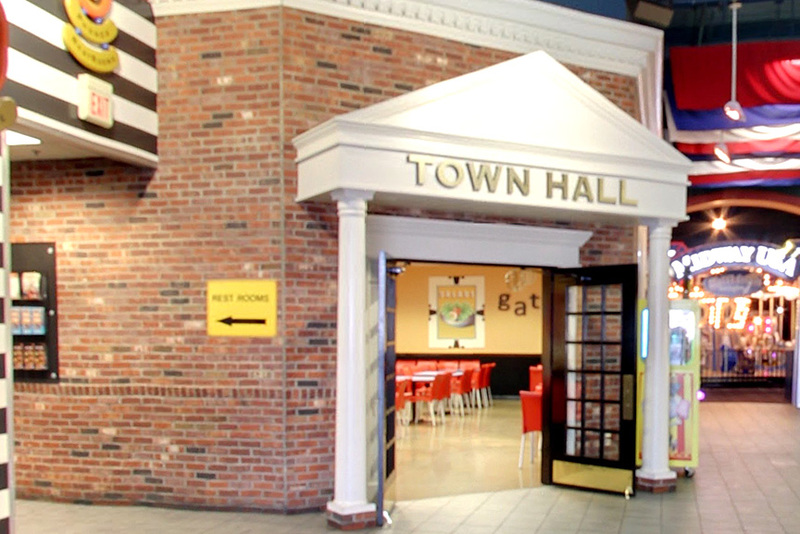 It also serves as GattiTown’s meeting room for almost any function.